WordPress knowledge base plugin is the perfect way to provide online documentation for your customers. In this tutorial, I’ll explain why the Posts Table Pro table plugin is ideal for this purpose. You’ll learn why it’s better than 3rd party knowledge base platforms. I’ll even show you how to set it up, from start to finish. You don’t need any technical expertise and you don’t need to write any code. Simple! once Do I need a knowledge base or online documentation? But which WordPress knowledge base plugin to use? Do I need a knowledge base or online documentation? You sell products (whether online or physical) that require instructions. Customers regularly ask questions about how to use your products. You find yourself answering the same question more than once. You’d like to reduce the burden of customer support. 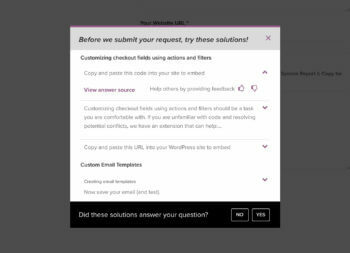 If you’ve answered ‘Yes’ to 1 or more of these questions, then a WordPress knowledge base or documentation plugin could be just what you need. Should I use a 3rd party help center platform such as Zendesk? When I first researched knowledge base solutions for our own WordPress plugins, I assumed that I’d need something outside of our company website. I couldn’t have been more wrong. I’ll explain why. The reason I was seeking a 3rd party solution was because a website can be slowed down by too many plugins. If there’s a valid business case for incorporating a function into our website, then I do it. However, I believe that some things should be kept outside of your WordPress website. For example, customer invoicing, CRM and accounting have no place on your main company website. I originally thought that our WordPress plugin knowledge base would fall into this category. We trialled some 3rd party help centers such as the ones from Zendesk and Help Scout. Lots of other WordPress plugin companies (e.g. WP Engine) use these systems for their support ticketing, so why shouldn’t we?! So, we set up a draft knowledge base with each of these companies. We tweaked the colours and images to suit our brand. We set up the knowledge base structure and added lots of articles. Finally, we set up the built-in customer support request form. While you can tweak the colours and header images on the hosted knowledge base platforms, they didn’t truly match our main website. For example, the fonts and overall look and feel were different. Sure, they looked clean and modern. But the user-experience was disjointed as you switched between the two. You can pay more for further customisation options and the ability to add custom CSS. However, these elements are already in place on our main website. Styling a 3rd party knowledge base to match our main website felt like reinventing the wheel. And frankly, a waste of time. I had expected that a dedicated help center platform have more features than a WordPress knowledge base plugin. However, all the ones we tested were lacking in basic functionality. The options for searching the documentation were very basic, making it hard for customers to find the articles they needed. There was no option to sort articles by name, topic, etc. There were no filter options. The articles could only be categorised by a single level of category. As a long-time WordPress user, I’m used to being able to structure information into more complex hierarchies. For example, I wanted to create a top level category for each of our WordPress plugins, divided into 2 levels of sub-category. Strangely, this wasn’t possible with the hosted solutions we tested. The ‘Request Support’ form was incredibly basic. You could add custom fields, but nothing more dynamic. Our support request form is sophisticated and collects different data depending on the customer’s answers to each question. For example, if a customer selects the ‘Bug report’ option then they’re prompted for their login details so that we can investigated. This is a great way to get the information we need, while only displaying fields that are relevant to each customer. It was a shame to be forced to lose all this. As with any hosted solution, you have to pay a monthly fee for a 3rd party knowledge base. It comes free if you use their support ticketing system too. However, we provide personal customer support via email and don’t want to hide behind support tickets. With external knowledge base platforms, your documentation will either be on a subdomain of your main domain (e.g. support.barn2.co.uk) or a different domain (e.g. barn2.zendesk.com). If you set your WordPress knowledge base to public (which you should do!) then it can be crawled and indexed by search engines. However, its rankings will be separate from your main website. We’ve spent years building a good search engine ranking for our WordPress website. It seemed a shame to have to start again with the knowledge base. Your main website benefits from the huge amount of SEO-friendly content in your documentation and knowledge base. The WordPress knowledge base articles benefit from the wider authority of your main domain name, so they’re more likely to get good rankings. With a WordPress knowledge base plugin, you get full control over your SEO data. For example, if you use a WordPress SEO plugin then you can add custom title tags, descriptions etc. Just like you can with the rest of your website! Another downside of hosted platforms is that you don’t own your own data. Everything is lost if the company goes out of business. You get more control by hosting a knowledge base on your own WordPress website. Ideally, you should also take regular off-site backups to be doubly secure. 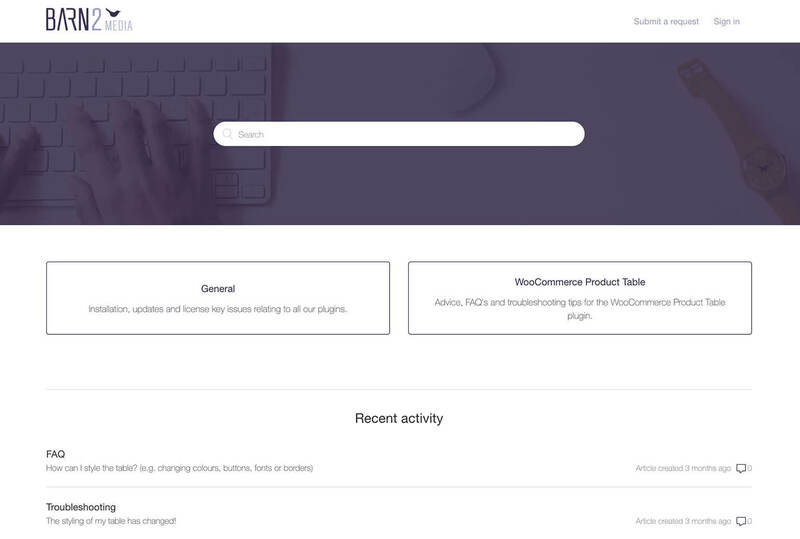 When I send a support request on WooCommerce.com, it automatically searches the knowledge base and suggests articles. It forces me to confirm the articles aren’t relevant before I can send a support request. This is a great way of encouraging customers to self-serve and reduce support tickets! I know that WooCommerce use Zendesk for their support tickets, so I assumed that this feature was available. On trialling Zendesk, I discovered that this is only possible via custom API integration. That puts this feature out of reach for most people. To date, I haven’t found ANY off-the-shelf solution to auto-search the documentation before you can request support. Instead, I recommend structuring your knowledge base and documentation to make it really easy for customers to self-serve. Make the link to request support less prominent and put it below the list of articles. Using a WordPress knowledge base plugin gives you more flexibility to do this. Whereas a 3rd party knowledge base puts the support link right at the top, so customers use it without thinking. Your knowledge base should be part of your website! By using a WordPress documentation plugin, you can instantly overcome a lot of the drawbacks listed above. Your knowledge base will be part of your WordPress website, and not an afterthought. Everything will integrate seamlessly, boosting your SEO and providing much better customer experience. Surprisingly, the plugin I’d recommend for your documentation isn’t a dedicated knowledge base plugin! It’s a WordPress table plugin – Posts Table Pro. Posts Table Pro is popular for displaying information in a wide range of ways. For example, it’s one of the most popular WordPress document library plugins. By following the steps later in this tutorial, it also provides the perfect knowledge base for any WordPress website. It automatically lists your knowledge base articles in an interactive table layout. The table gives your customers more ways to find the information they need, compared to typical knowledge base plugins. Behind the scenes, you can either use normal WordPress posts for your knowledge base articles. Or you can create a dedicated custom post type for your articles (my recommendation). Adding a WordPress knowledge base article is as easy as creating a new blog post. See a Posts Table Pro knowledge base in action! Why is Posts Table Pro so great for online documentation? The table plugin can list all your articles, with columns for categories, tags and even custom taxonomies. Customers can filter by category, tag or custom taxonomy to narrow down the list. Alternatively, you can divide the knowledge base into categories and display the articles from each category in different parts of your site. Since your knowledge base articles will be WordPress posts (or custom posts), you can create hierarchical categories with multiple levels. You can either list everything on a single page, with a separate table for each category. Or, you can spread your WordPress knowledge base across multiple pages – each listing different articles. It’s hugely flexible and you can structure your knowledge base as you would structure any WordPress website or blog. But with the added benefit of searchable, sortable tables listing your documentation articles. There’s a keyword search box above the list of knowledge base articles. Customers can use this to find exactly what they’re looking for. Customers can sort by any column by clicking on it. You don’t get this feature with any dedicated WordPress knowledge base plugin. You can display filter dropdowns above the table to let customers refine the list of articles. Customers can also refine the list by clicking on a category, tag or taxonomy term. Everyone works in different ways, so it’s good to offer customers a choice. A successful knowledge base should evolve constantly. Whenever a customer requests support, you should think about why they had to ask the question. Consider how you could improve the knowledge base to prevent people from asking the same thing in future. As a result, you’re likely to be making constantly changes to your WordPress knowledge base. Especially in the first few months. 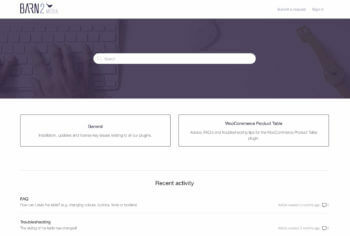 With Posts Table Pro, your documentation is added as a series of posts which you can easily add and edit via the WordPress admin. If you’re a website owner like me, then you’re probably logged into the WordPress admin most of the time anyway. It’s ridiculously easy to tweak a WordPress knowledge base while you’re dealing with support requests. This is much better time management than adding changes to a long ‘To Do’ list and hoping you find the time in the future! Once you’ve updated your knowledge base content, the tables listing the articles will automatically update in the front end. You don’t need to do this manually. Use the full WordPress editor – with all the usual formatting options, Add Media button, and extra features added by other plugins. 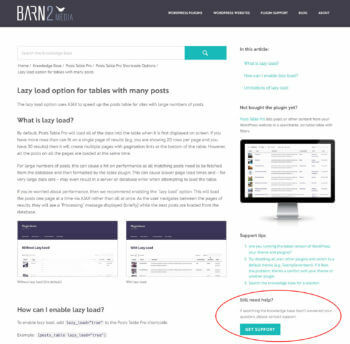 For example, we added a standard WordPress gallery to our knowledge base article about lazy load. The gallery contains 2 animated gifs showing how the plugin works with and without lazy load. You couldn’t do this with most knowledge base programs. Display global content from other parts of your website, such as the header, footer and widgets. Posts Table Pro supports embedded video players. This is a great opportunity to improve your online documentation. Create a video for all your main documentation topics. You can add them to the individual articles. Or even better, you can display the videos directly on the list of articles. 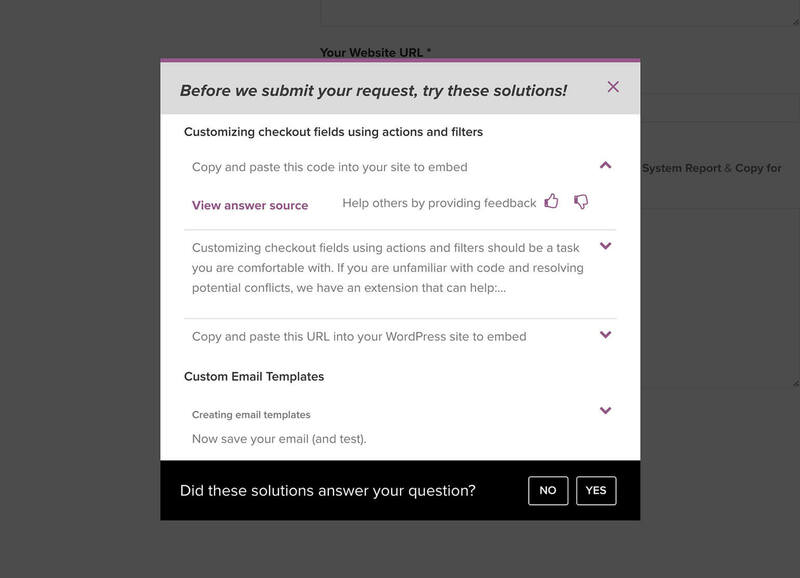 Customers can watch short videos which answer their questions directly from the main WordPress knowledge base page. They don’t even need to click through to read the full article! By now, you’ve discovered the benefits of having a knowledge base as part of your main website. You’ve also seen why Posts Table Pro is ideal as a WordPress knowledge base plugin. Now, I’ll show you how to set it up! The Posts Table Pro plugin, installed according to the instructions from your order confirmation email. First, you need to create the basic infrastructure for your knowledge base content and documentation. If you’re feeling lazy, you can use normal WordPress posts for this. This is fine if you’re not using posts for anything else. Even if you’re using posts for your blog, you can create some dedicated knowledge base categories within Posts > Categories. However, for most WordPress knowledge bases, I would recommend creating a dedicated post type. This will give you a proper section for your documentation in the left of the WordPress admin. It keeps everything neat and easy behind the scenes. Much more future-proof for you, especially as your knowledge base grows. I like both plugins and it doesn’t matter which you use. Here are instructions for creating a WordPress knowledge base post type using Toolset Types. You can call it anything you like, e.g. Knowledge Base, Articles, Documentation, etc. I think ‘Articles’ works well for both the singular and plural versions. Go to Plugins > Add New, search for Toolset Types, install and activate the plugin. Icon – Choose a suitable icon. This will appear next to the link in the WordPress admin. On the right, select where the link to your post type will appear in the admin, and click ‘Save Post Type’. Now, you will see a link to your WordPress knowledge base post type in the left of the dashboard. Next, you need to plan the structure for your WordPress knowledge base plugin or online documentation. Hover over the knowledge base section in the left of the WordPress admin, and click the ‘Categories’ link. Add as many categories as you like. This can be a simple list of categories, or you can create hierarchical categories with sub-categories, sub-sub-categories, and so on. As with WordPress posts, there are no limits here! The important thing is to think logically about the best knowledge base structure. Try to think from your customers’ perspective. You want to make it as easy as possible for them to find the article they need. Otherwise, they’re more likely to contact you for support! So don’t rush this bit. Tip: Make a note of the category slug as you create them. You’ll need these later if you’re planning to create tables listing articles from specific categories. This is the most time-consuming part of creating a knowledge base. It’s time to add the actual content to your online documentation. To do this, hover over the knowledge base link (or whatever you decided to call it) on the left of the WordPress admin. Click the ‘Add New’ link that appears underneath. The ‘Add New’ page is just like the screen for adding normal WordPress posts. You can add a title, the main content, categories, tags, etc. If you’re migrating written instructions or a single page of documentation to your knowledge base, break it down into multiple articles. Categorise and tag each article to make them easy to find. The good news is that you don’t have to do this all in one go. To launch your WordPress knowledge base, you just need to provide the basic information for customers to use the product. Over time, you can add more and more articles and provide more extensive documentation. A knowledge base should be flexible and constantly evolving. This means that you shouldn’t worry too much about perfecting it straight away. Knowledge base articles can often get quite long, divided up by multiple subheadings. If this applies to you, I’d recommend installing Table of Contents Plus. This free WordPress plugin lets you create instant lists of all the headings in your knowledge base article. You can either add the list to the top of the article, or as a sidebar widget. You can see a knowledge base table of contents in the screenshot above. The ‘In this article’ widget was created automatically and lists the headings from the article. It’s a great way for customers to quickly find the section that will answer their question. Most people aim their knowledge base at their existing customers. This can lead to missed opportunities to attract new customers. Your documentation is published on your public website, so it’s available for the world to see. Potential customers might be searching the web for a specific solution, and find a specific knowledge base article without having any background knowledge about your product. Therefore, every page of your knowledge base should contain some basic information about your product and how they can get it. Did you spot the “Not bought the plugin yet?” sidebar widget in the screenshot above? Here it is again. The widget doesn’t dominate the page for existing customers, but puts the article in context for potential customers. Entering a website directly in a knowledge base article can be confusing as you don’t know what you’re reading about. This simple widget provides an overview of the plugin that the article relates to, with a subtle call to action. The image of the product in action will attract people who are looking for the solution you’re offering. We use the Display Widgets plugin to show the relevant widget in the appropriate knowledge base category. That way, we can showcase different products in different sections of the WordPress knowledge base. Whichever product the article is about, customers always see the widget for the correct product. If you need a collaborative knowledge base, then transform your documentation into a wiki! You can use a WordPress front end editor plugin to let your users make changes to your knowledge base articles. The way it will work is that the Posts Table Pro plugin will automatically list your documentation articles in a table layout. Users will click through to the single article page. From there, they can click ‘Edit’ to edit the article content. Their changes will automatically appear in the table and on the single article page. By now, the overall infrastructure for your online documentation is in place. The only remaining task is to display the articles in an easy-to-find format on your public-facing website. We’ll do this by using Posts Table Pro as your WordPress knowledge base plugin. If you haven’t already done so, buy posts Table Pro and install it on your WordPress website. This will list all your knowledge base articles in a sortable table with search box and filter dropdowns. Customers can sort by any column or they can type a keyword into the search box. They can filter the table by clicking on a category or tag, or choosing an item from the dropdowns above the table. Once they’ve found the article they need, they can click on the title to view the full article. In the example shortcode above, I have chosen options that are suitable for most knowledge bases. However, Posts Table Pro is a hugely flexible plugin and there are many options to choose from. Use these to customise your WordPress knowledge base, and tailor it to your exact needs. You can read about all the options in the plugin documentation. Columns – The example shortcode above includes columns for name, content, categories and tags. You can include lots of other columns in the table. This includes featured image, excerpt, date, author, custom fields, custom taxonomies, and much more. Display specific knowledge base categories in a table – In the example above, I showed you how to list all your knowledge base articles in a single table. If you prefer, you can create separate tables listing documentation from a specific category. For example, you might want a page listing all your pre-sales articles; a general FAQ page; a page listing your setup articles; and so on. 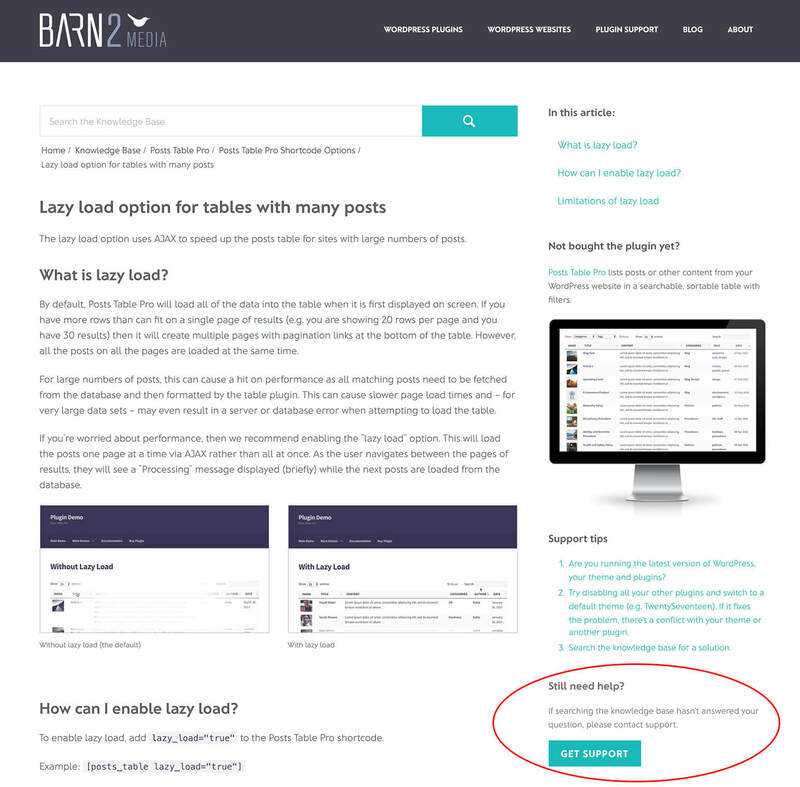 Lazy load – Most product documentation and FAQ’ consist of perhaps a few dozen articles. However, some knowledge bases contain 100’s of articles or more. If you’re listing all your articles in a single table, then you can make it load faster by activating the lazy load option. This loads 1 page of articles at a time, speeding it up. Display shortcodes, video & other content – The ‘shortcodes’ option lets you display other types of shortcode in your table of knowledge base articles. For example, you can display a column containing buttons or icons created by your theme or another plugin. You can display embedded video players, too. Have a play and use Posts Table Pro to create your perfect WordPress knowledge base! However useful your knowledge base is, customers will still need to contact you for support. Getting this right is a delicate balance. On the one hand, customers should be able to contact you when they need to. On the other hand, you’ll benefit from gently encouraging them to help themselves where this is realistic. You can achieve this by making your documentation user-friendly, easy to navigate and easily searchable. Using Posts Table Pro as your WordPress knowledge base plugin will help with this. This will help customers to self-serve and find answers themselves. Think of the best way for customers to contact you for support. This might be a live chat plugin on your website. It might be a phone helpline. Or it might be a support request form, created using a contact form plugin such as Gravity Forms or Contact Form 7. This might send you an email, or it might feed into a full ticketing system. You can integrate any of these options with your WordPress knowledge base. Whichever option you choose, make it accessible to your customers without being too easy. I know it sounds harsh, but making it too easy encourages them to be lazy. Research suggests that most customers want to self-serve, as this is quicker than contacting you and waiting for a response. Place the ‘Request Support’ links AFTER your knowledge base articles and search results. Customers should have to search for a solution, and look through the articles. They should only contact you for support if this process fails. Don’t shoot yourself in the foot by making the support link too obvious! Finally, I’ll provide some tips on how to hide your knowledge base from public view. This is useful if your knowledge base is part of your main website, but you want to restrict the documentation to existing customers only. The Password Protected Categories WordPress plugin hides your knowledge base and documentation. Simply install this simple plugin, create a main category for your knowledge base, and select the ‘Password protected’ option. You can then add 1 or more passwords – customers must enter a correct password to access the restricted knowledge base. Your password protected WordPress knowledge base category can have as many sub-categories as you like. They’ll automatically be protected with the same password as the main parent category. They will be completely hidden from the public parts of your website. After that, it’s up to you how to share access to the knowledge base. You could include the password in the order confirmation email or include it with your product. 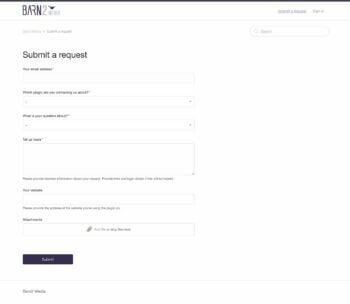 Or you could use a plugin such as Contact Form 7 to add a ‘Request access’ form to your website. People can submit the form, provide evidence of their purchase, and you can then send them the password. Either way, this is a simple way to hide and protect your WordPress knowledge base. It’s time to create your own WordPress knowledge base! Using the best WordPress knowledge base plugin can make a huge difference to customer satisfaction AND your bottom line. Remember – the easier it is for customers to find answers to your questions, the less likely customers are to request support. They’ll be happier, more likely to recommend your products, and more likely to buy from you again. This frees you up to build your business rather than spending all your time on customer support. So, now you can get started and create your own WordPress knowledge base with the Posts Table Pro plugin. Set it up and make life easier for customers and you at the same time. And if you like the plugin, become a Barn2 affiliate and earn 30% commission for recommending it! I’d love to hear how you get on with your knowledge base plugin. Please leave your comments below.